With several plane crashes and hijackings hitting the news lately, it has people wondering about past incidents. Look no farther. We’ve made the search easy for you by compiling a list of the top 11 most memorable plane crashes and hijacks of the last two decades, listed in no particular order. While this incident only occurred 10 days ago, it’s fresh in everyone’s mind. After veering course, the Malaysia Airlines Flight MH370 went missing, and to date no one yet knows what happened to the 239 people on board. Speculators say that the plane was hijacked given that it was programmed to fly to Beijing but left its course and lost contact with radar and air traffic controllers instead. But no one knows where—or if—the plane went down. The search has only spread wider, now covering 2.24 million square miles, and officials are still searching the seas for signs of debris. The 9/11 plane hijackings and crashes are perhaps the most memorable to the majority of Americans. Involving the American Airlines Flight 11, American Airlines Flight 77, United Airlines Flight 93, and United Airlines Flight 175, 19 terrorists hijacked these planes on the same day. They used three of the four planes as missiles for suicide bombings, hitting both of the Twin Towers as well as the Pentagon building. 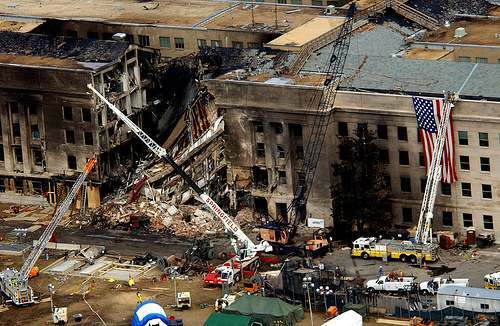 The passengers and crew in the last plane were able to prevent the fourth attack on the White House, but the death toll of the 9/11 attacks of 2001 still totaled almost 3,000. 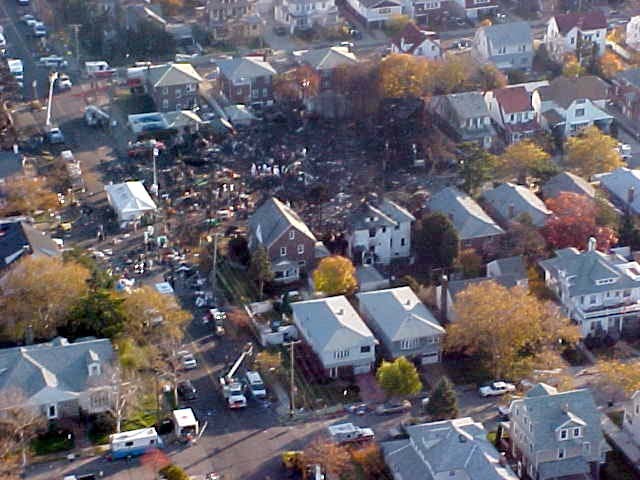 After the tragedy of 9/11, many people thought they were seeing a repeat of the same incident when Flight 587 crashed in Queens in November 2001. A total of 260 people on board died, along with another five on the ground. The National Transportation Safety Board found that the crash was caused by the pilot’s overuse of rudder controls, which he intended to use to control the wake turbulence of a jet that had taken off five minutes before. After this crash, the American Airlines chose to modify its training program. This 1994 crash from the Chicago O’Hare airport to Pittsburg killed 132 people on board. The cause: The rudder suddenly moved to the full-left position, which send the plane rolling and tumbling 5,000 feet to the ground. Due to the conflict between the airline and the victims’ families, the crash led Congress to pass the Aviation Disaster Family Assistance Act, which requires airlines to have detailed plans on how to notify family members of an accident. The Air Africa Crash of 1996 went down in Kinshasa, Democratic Republic of the Congo after it overshot the runway. Surprisingly, it only claimed two lives of those onboard. The real tragedy came when the airplane crashed into a marketplace, killing between 225 and 348 people on the ground and injuring about 500 more. This makes it one of the most deadliest crashes for people on the ground. The Charkhi Dadri Collision of November 1996 involved a Kazakhstan Airlines flight and the Saudi Arabian Airlines Boeing 747. The Kazakhstan crew had a miscommunication with the air traffic controller, where they didn’t hear to remain at 4,600 feet and continued their descent instead. This misunderstanding caused the two planes to collide, leading to 349 fatalities and no survivors. Afterward, the national aviation authorities required all flights in and out of India to have a Traffic Collision Avoidance System on board. The 1999 hijacking of the Indian Airline Flight 814 was one of the longest hijackings in history, lasting over a week. The plane was hijacked by a group whose goal was to release Islamic figures in India. After touching ground three times to fuel up, the gunmen finally forced the aircraft to land in Kandahar. Before it all ended, they had fatally stabbed one of their comrades. Hijacked by three Ethiopians who were under a suicide pact in November 1996, the Ethiopian Airlines Flight 961 went down near the Comoros Islands after running out of fuel. Residents and tourists nearby witnessed the crash and swam out to aid survivors. Even so, 122 of the 175 passengers died. One tourist along the beach caught the crash on camera. 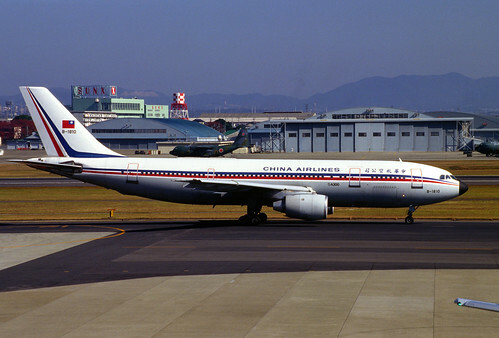 China Airlines Airbus A300 similar to the one that crashed. Photo via Flickr by Contri. After the first officer accidentally pressed the takeoff/go-around button before landing at the Nagoya Airport in Japan in 1994, there was nothing the pilot and copilot could do once the autopilot kicked in. This button raised the throttle position and is used for take-offs and go-arounds. The crew tried to correct the issue manually, which only stalled the plane, but since they were already landing, they didn’t’ have the altitude to correct their error. This plane crash resulted in 264 fatalities. Those who survived were all sitting in rows seven through 15. The shocking part of the Ethiopian plane that was hijacked a few weeks ago was that the plane’s own copilot was the one to hijack the plane! He hijacked the plane when the pilot went to the restroom, and then switched course to head toward Geneva in search of asylum, similar to the Ethiopian airlines crash of 1996. Eventually he surrendered and no one was harmed, but the fact that the plane’s own copilot hijacked the plane left everyone in shock. Did you find this list interesting? Let your friends know by tweeting this post with the share buttons above.